Swiss born artist and independent photographer, Anna Halm Schudel has been exposing works regularly in museums and galleries in Switzerland and abroad for 25 years. Inspired by everything around her and believing that every person has multiple facets that combined form his or her personality, the Swiss artist embarked on a journey of portraits’ creation in her own original way. 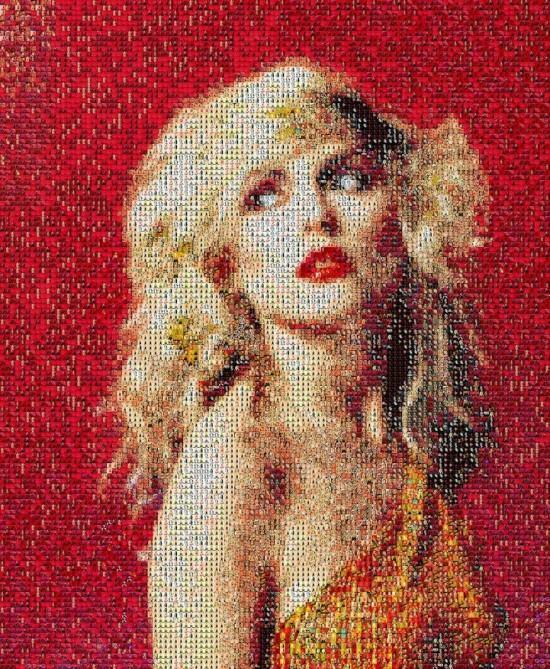 Using her photographic skills, Anna extracts thousands of small portrait images from the web to recreate impressive mosaic-like portraits of famous figures. Selecting only the section she wants from each photo to match the formats and tones together (approximately one square centimeter), the artist reworks the digital pictures in a very complex process and assembles them in a similar way to puzzle. 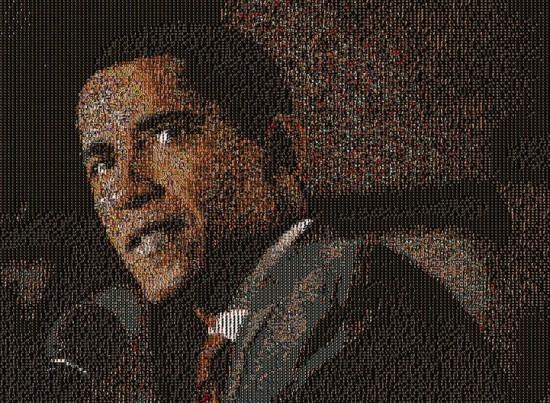 At first glance, her portraits look like any other portrait of Barack Obama or Marilyn Monroe, but soon the giant pixilation is revealed when one approaches to take a closer look. Through her meticulous and amazingly detailed portraits, Anna relates with her images in a special way, leaving her unique fingerprint on each one of them.